Financial Planning Academy is an Authorized Education Provider of the Financial Planning Standards Board, India (FPSBI) for the CERTIFIED FINANCIAL PLANNER (CFP ) certification, Diploma in Banking and Finance by IIBF, National Institute of Securities Market (NISM) courses, National Skill Development Corporation (NSDC) programs and Online Skill Development Training Partner for Mumbai University & American Academy of Financial Management (AAFM), India & National Stock Exchange (NSE) Academy. Established in 1980, our parent company Sykes and Ray Equities (I) Limited is a Stock Broking house, an NBFC, Portfolio Management Services (PMS) and into Financial Planning with presence in 140+ locations across India with a strong 250+ member team and growing. With this background, FPA envisions nurturing financial education through keeping pace with the dynamic financial industry. Our commitment towards achieving this objective of imparting the 'right education to the right people' is achieved by providing easy access to the theory and practice of the financial planning discipline conforming to the international standards through state-of-the-art teaching aids and world-class study material by highly qualified and experienced faculties. We impart world-class knowledge and experience to students, working executives and professionals interested in making a career in financial services in India. Ambition Learning Solutions (ALS) is a renowned Institute of excellence for both education and training in multifarious courses and plays a cardinal role in providing world-class professionals who are trained to give unbiased and competent advice to their clients. ALS specializes in tailor made Corporate Training Programs, Investor Awareness Programs (IAP) and is empanelled with National Institute of Securities Market (NISM) for Continuous Professional Education (CPE) training. Pass4Sure is a leading professional online practice test bank for various NISM, NSE NCFM, BSE, IRDA and Banking PO exams. The team behind Pass4Sure has decades of experience in the financial services space and have succeeded in preparing practice question banks which will not only help to pass the exams easily but also get a good grip on the subject. 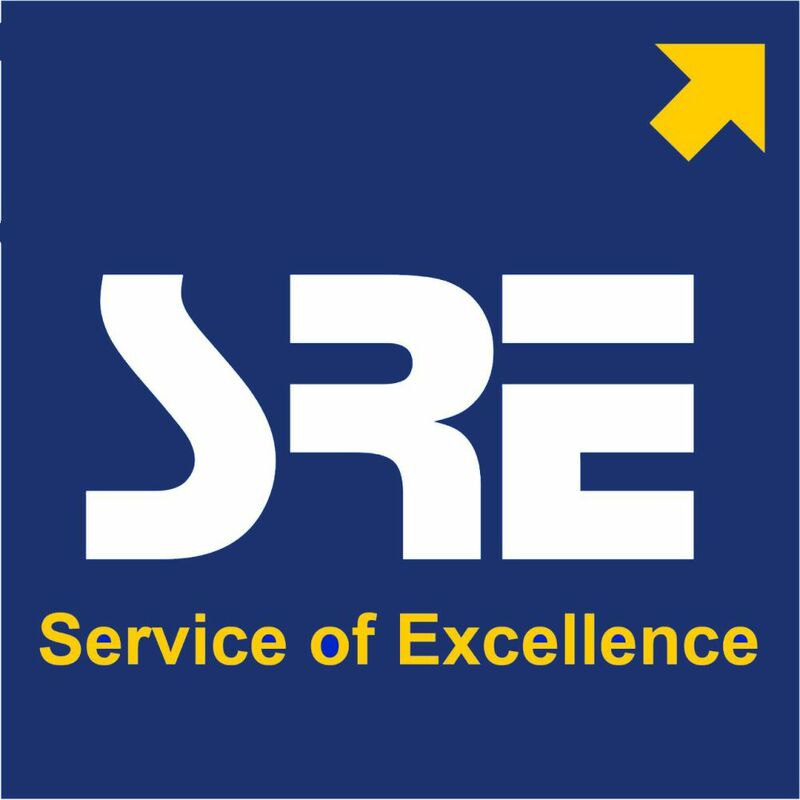 Founded in 1980, Sykes & Ray Equities (SRE) today is a leading Financial Services Firm with business in Stock Broking, Non Banking Finance Company (NBFC), Portfolio Management Services (PMS), Financial Planning Services & Education. We are present across 140+ locations in India and serving our clients with a strong 250+ team strength and growing. Happiness is not in earning more money or having more wealth. Happiness is in achieving your life’s dreams, fulfilling the promises you have made and having peace of mind. That’s the driving principle for us. Sykes & Ray Financial Planners, the pioneers of Professional Financial Planning Services in India with a team of CERTIFIED FINANCIAL PLANNER Professionals, guides you to think ahead and reach ahead in life by offering holistic Financial Planning Services by qualified professionals. FPA is the Education Division of SRE – Sykes & Ray Equities, which was Founded in 1980, and today is a leading Financial Services Firm with business in Stock Broking, Non Banking Finance Company (NBFC), Portfolio Management Services (PMS), Financial Planning Services & Education with presence across 140+ locations in India and a strong 250+ team strength and growing. FPA is the #1 Authorized Education Provider of the CFP Program in India, having trained over 5000+ students & working professionals. FPA’s Diploma in Banking & Finance is certified by IIBF, India’s biggest banking training institute approved by RBI. FPA is the only Mumbai University Public – Private - Partner conducting online skill building Certificate, Diploma and Advanced Diploma programs. Every Faculty Member of FPA is a CFP Professional with additional professional certifications to their credit. Our eminent faculty members are either practicing Financial Planners or working in a reputed financial services firm. Industrial Visits, which enables student to bridge the gap between theoretical and practical aspects of Finance. Guest Lectures by Industry Experts/Professionals not only make our students strong in their concepts & implementation but also update with the current trends & market scenario. 100% Placement Assistance to all our students. Some of the leading financial service organizations like SBI, Religare, Kotak, ICICI, HSBC, HDFC, Karvy, Anand Rathi, etc. and practicing financial planners like Ladder 7, Financial Hospital, Ffreedom Financial Planners, etc. are all hiring CFP from FPA for various job profiles with salaries ranging from 2-10 lakhs/year. We also have branches at Pune, Bhubaneswar, Cochin and Amritsar. Mr. Shah is a serial entrepreneur running businesses in the area of Financial Planning & Education with a decade of enriching experience in Sales, Training & Consulting. As a formal Executive Director with a BSE Listed NBFC, he brings good exposure to Banking, Treasury Management & Wealth Management. He has been awarded with Young Entrepreneur Award in Dubai and Mother Teresa Excellence Award in Bangalore. Kirtan is a B.Sc. Math graduate with P.G. in Financial Engineering and Risk Management (F.E.R.M. ), a Certified Financial Planner (CFP ), Charter International Wealth Manager (C.I.W.M.) and a Chartered M.C.S.I. from C.I.S.I. In his quest to learn and passion to share knowledge & experience; he has authored numerous books on Capital Markets & Financial Services and is also on the Board of Studies of Mithibai College, Mumbai. Proactive is how you can define him. With over a decade in Education Marketing, from Navneet to ICICI, he has lived the evolution of the education industry. Vishal in his last corporate assignment was instrumental in setting up an education division for a listed Non Banking Finance Company and grew it 4 folds before starting on his own. Being from the first batch of B.M.S. at the Mumbai University and than completing his M.B.A. from a prestigious school, he is a popular face at various colleges to share his experience with the budding talent. An M.B.A. from S.P. Jain, C.F.A. from USA and a CFP , Jaishank is the perfect numbers guy and a thorough techie at heart. Coming from PWC in the past, taxation and business consulting is something that runs in his blood. Having set up a Financial Planning firm managing 100+ cr. of wealth for 1000+ clients, he has also been very instrumental in knowledge transfer between education and practice leading to mutual benefit for both the organisations. An energy packed and ambitiously dedicated individual with solutions to problems, Mustafa manages our Operations. Having pursued his CFP and Chartered Accountancy, he is experienced in auditing listed NBFCs, Banks and Stock Brokers. Also having worked with an International Knowledge Process Outsourcing Unit of a larger global bank, he brings with him an understanding of functioning of international markets. His skill sets involve compliance management, analytical competence, which enables the smooth operations of the organization and absorbing challenges. Qualified Chartered Accountant with over 10 years of global work experience with known brands like UBS (Union Bank of Switzerland), Ernst & Young, Sopra Steria (NHS), WNS etc. From working as a Financial Controller at UBS to performing Statutory Audits at Ernst and Young, he has been able to acquire broad skill set through work experience in various industries and education. He has also worked in countries like UK, Australia and Bahrain, helping him get a wider perspective of varied management styles and working culture and bring them to the table. Along with his professional career he has also been able to pursue his passion of disseminating knowledge by co-authoring over 20 titles for a leading publisher for subjects across the Finance and Accounting domain. Additionally he's also a visiting faculty at Pune University and a freelance tutor for some of the leading training providers teaching professional and soft skill courses. A Management graduate with specialization in Marketing from Bharti Vidyapeeth's Institute of Management Studies & Research, Mr. Poddar has been associated with the BFSI industry for nearly 17 years. As an entrepreneur he has been providing banking trained candidates to some of the most reputed private sector banks & NBFCs for the past 8 years. Prior to that he has worked with organisations such as ICICI Prudential, HDFC Life and Bharti AXA Group and has hands on experience in various functions like Training, Placements, Sales, Marketing and Business Development. He is determined to ensure that youngsters benefit from the vast opportunities that such high growth sectors will continue to offer. Co-Founder & C.E.O.- Sykes & Ray Edupro Private Limited. 11 Years Of Experience In Financial Services. Sr. Manager Training - Sykes & Ray Edupro Private Limited. 7 Years of Experience In Financial Services. COO - Sykes & Ray Edupro Private Limited. Co-Founder & C.F.O. - Sykes & Ray Edupro Private Limited. Director - SmartFin Wealth Management Private Limited.